After a nice inflight breakfast, we landed in Delhi at around 9:30am. 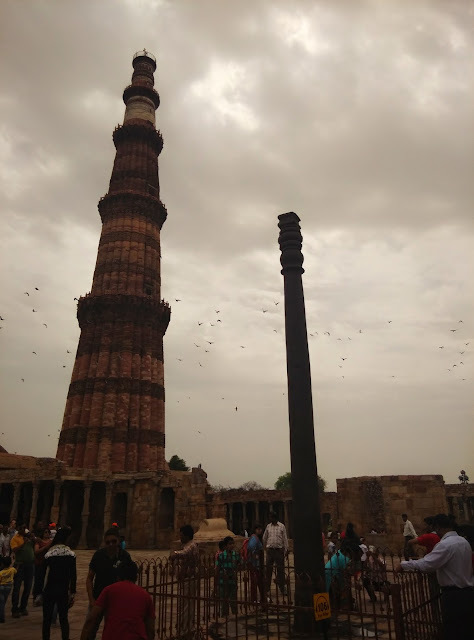 We began the city tour with the visit to the Qutub Minar. 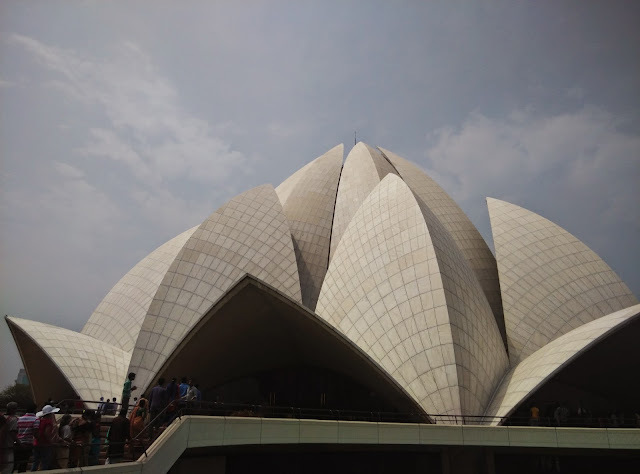 After seeing the picture on the NCERT text books, it was finally nice to see it for real. In the same complex we also have the iron pillar with our national emblem. 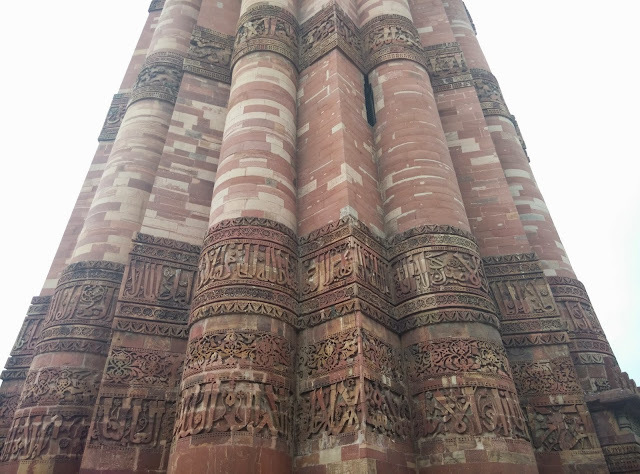 There were strange yet beautiful writings on the Qutub minar and the structures around it are actually ruins. The next location on the list was Lotus temple. The structure looks fantastic. Its a long walk to reach the temple which reminded me of the golden temple in Vellore. There is no entry fees and the gardens are really well maintained. 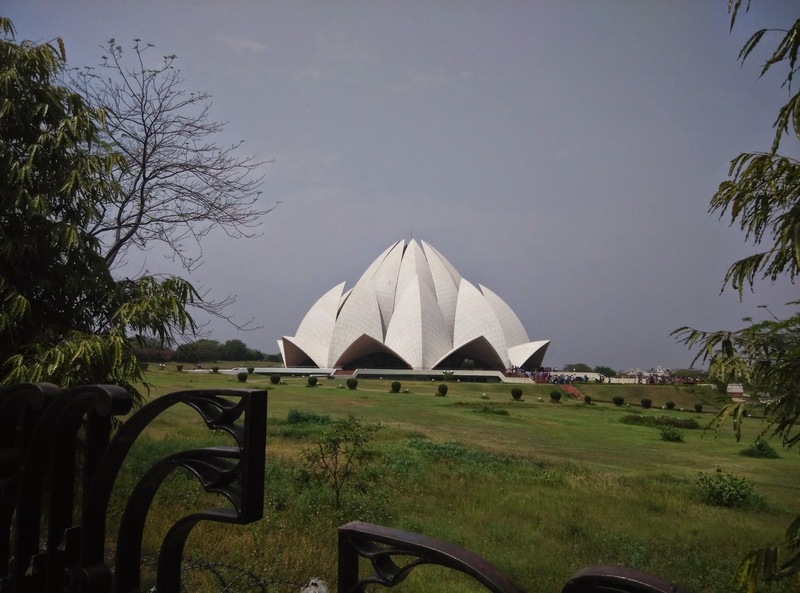 The structure in the shape of the lotus actually has pools on all the sides to give us the feel of lotus in water. The whole ambiance is really peaceful but the parking outside is a disaster and the honking will remove all the peace of mind that you have. From here the cab guy took us to Delhi Haat, a place to shop and also to have lunch. It looked like a proper tourists scam. Almost everything looked overly priced and there is no bargain. Or it could be our middle class mentality that since we are tourists everyone is going to loot us. Either way, they succeeded. Mom bought a handcrafted bed sheet because according to her since we are here let us buy something. 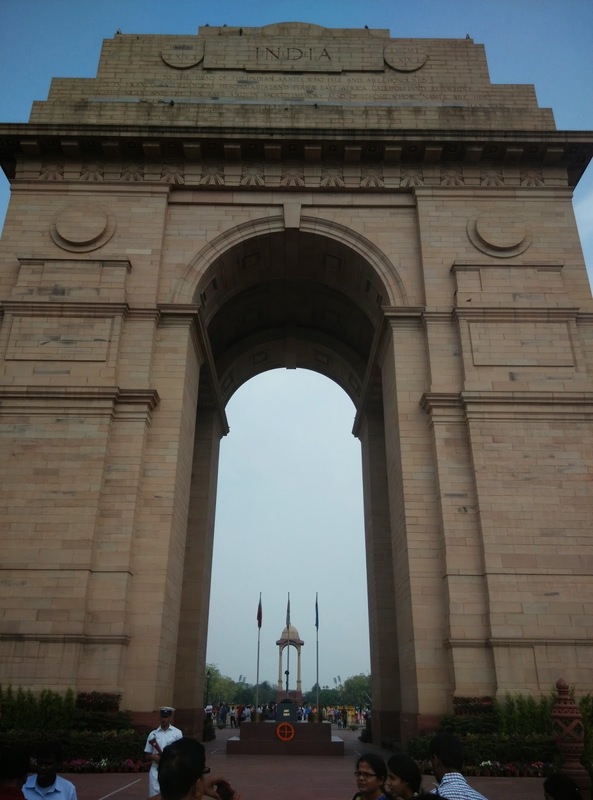 After lunch we head out to the India Gate. 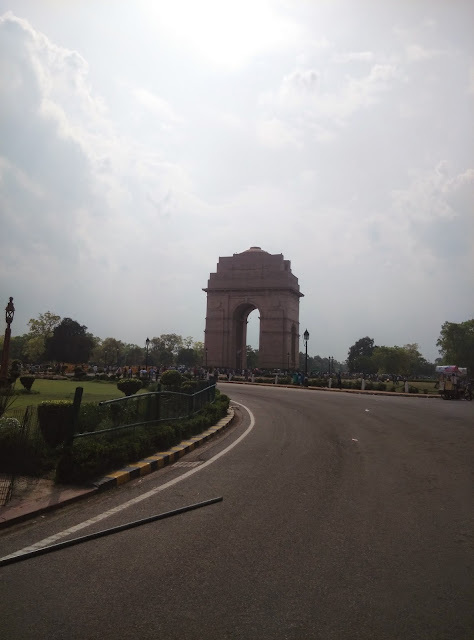 From here you can see the Rajpath and other government buildings. It is one of the heavily guarded structure but the guards there are friendly and will let you take pics with them. It was around 3pm when we covered these 3 locations. It was time for the final planned location of the day - Akshardham. You are not allowed to carry any electronic devices including mobiles into the temple complex. Ladies will also have to leave their bags behind. It is advisable to leave everything in the vehicle if you have one because the queue to deposit valuables is usually long and you will waste a lot of time. 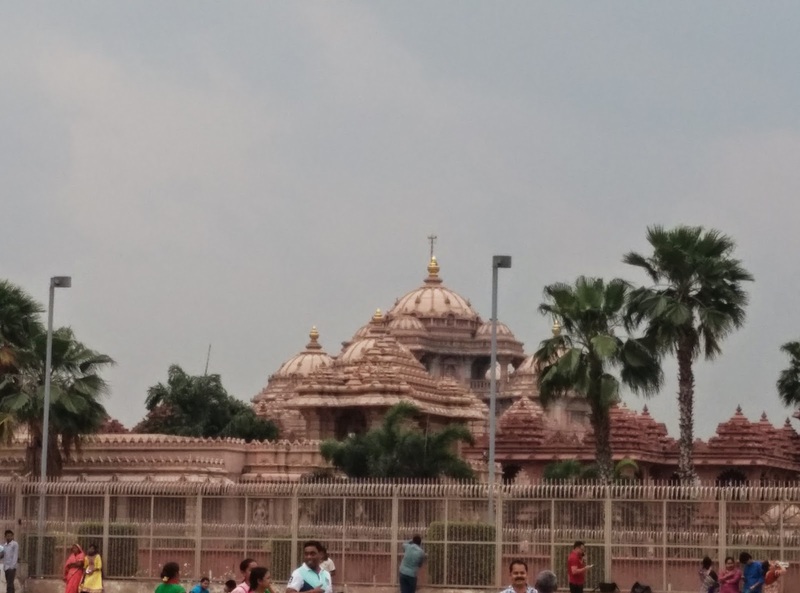 You could reach Akshardham through the Delhi metro. Below is the one pic that I managed to take from the parking lot. The sculptures here are amazing and each statue here has a story to tell. It took us 3hrs to just to view everything that is present in the temple complex. There are a lot of shows that happen here that talk about spirituality. Since we reached late afternoon we couldn't attend any of those shows because most of them were sold out or had a long queue. We returned from there to our room at around 7pm. 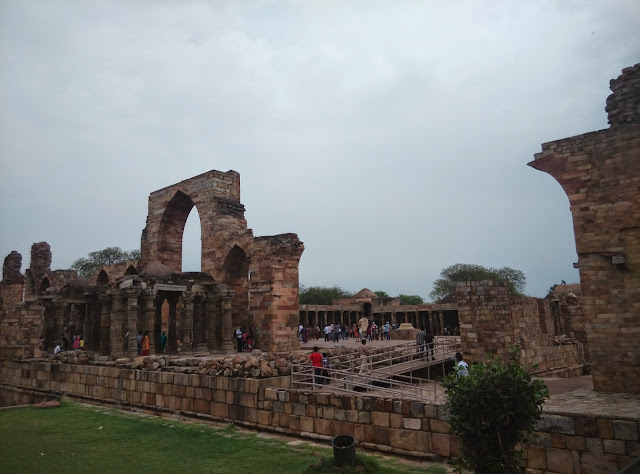 It was a tiring day 1 of our trip but we still had enough energy left to walk around Paharganj where we had booked our room. Paharganj has a lot of hotels and inturn a lot of tourists so you will find lots of shops to buy clothes or souvenir. 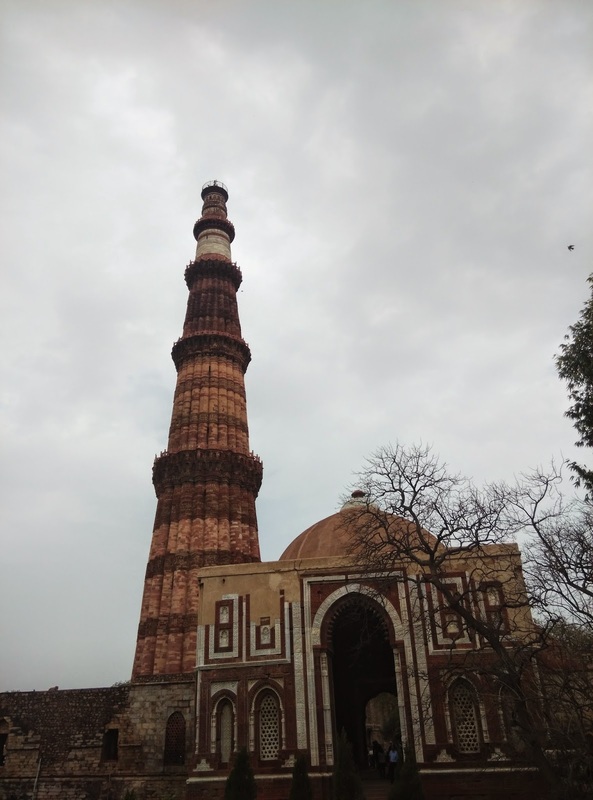 We wanted to goto Chandini chowk and old Delhi but our hotel guy advised against it saying it was late and we will lose our way back. Delhi is too big to be covered in a single day. I think 2days would have been ideal where you cover all the historical places on Day 1 and Akshardham along with shopping and food street (I am told its near Chandini chowk) on Day 2. However thanks to my tight schedule, I merged both into a single day by skipping few places. I would like to thank my friend Ish who helped plan the trip by letting me know where to book my rooms and the places to cover.